ERS has the ability to build sets of profiles to support the creation of forecasts for non half hourly metering. 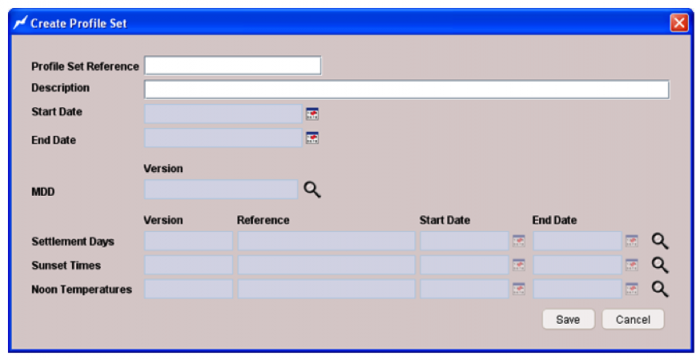 The Profile Builder framework is situated within the ERS core application. The NHH profiling tool creates Half Hourly Profiles using the Market Domain Data and Teleswitch Interval Data from the systems databases and enables users to apply Sunset Variables, Temperature Variables and Settlement Days. The profile set consists of the PPC (Period Profile Coefficients) generated for every settlement period for every settlement day for a range of dates, for the Time Pattern Regimes for every Standard Settlement Configuration for combinations of GSP Group and Profile Class. A profile set is complete once these PPC have been calculated for every combination of GSP Group and Profile Class. In order to price new business a forecast of forward consumption needs to be made available to the pricing team. The ERS Quote Lab Generate Forecast user interface allows your users to import historical consumptions files for a series of MPANS and generate a forecast for each case. Quote Lab will forecast consumption forward for each half hourly period for a period of 6 years. This ensures that your pricing team can create several quote iterations for up to a 6 year contractual term without needing to create additional consumption forecasts. the load factor for the consumption in the file is not less than [Business Rule] and not more than [Business Rule]. Forecasts are stored within the ERS application for use during the pricing process, forecast can be exported in CSV format.